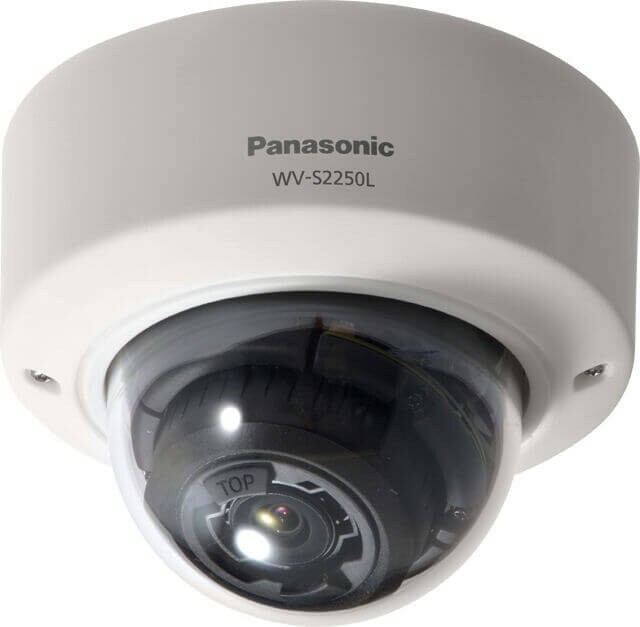 Panasonic WV-S2250L captures the highest quality images in even very challenging and dynamic environments. Intelligent Auto (iA) monitors scene dynamics and motion to adjust key camera settings automatically in real-time reducing distortion such as motion blur on moving objects. Adopting H.265 Smart Coding technology, bandwidth ef ciency is intelligently increased for longer recording and less storage. Out of the box, the camera supports full data encryption streaming and is compliant to FIPS 140-2 Level 1 standards to keep your video secured. Super Dynamic On / Off, the level can be set in the range of 0 to 31. The level can be set in the range of 0 to 31. Image rotation*3 0 °(Off) / 90 ° / 180 ° / 270 °, 90° and 270° are valid only in the 16: 9 mode. *On (Frame rate control) and On (Advanced) are only available with H.265. *2 The frame rate is limited to 15 fps for level 30 or higher. The dynamic range is 108 dB typ / 30 fps for level 29 or lower. *3 Following the setting angle of the rotated image, the analog output of the MONITOR OUT terminal rotates. *6 When recording audio on an SD memory card, only use AAC-LC (Advanced Audio Coding - Low Complexity).